Hemp in the beauty industry is nothing new, but has been around for centuries. CBD when introduced as topical skin care product, combined with additive like Peptides, Collagen, Retinol and Polisorbate helps nourish the skin while help fight against the natural aging process of the skin. Here’s why you need CBD in your skin care routine NOW! – Fight against cell-damaging free radicals. The Age Erase Moisturizer enriches the skin with moisture helping the skin to look refreshed and youthful. This formula also aids in helping the skin to boost its natural collagen production that allows the skin to maintain its elasticity while erasing fine lines and wrinkles. 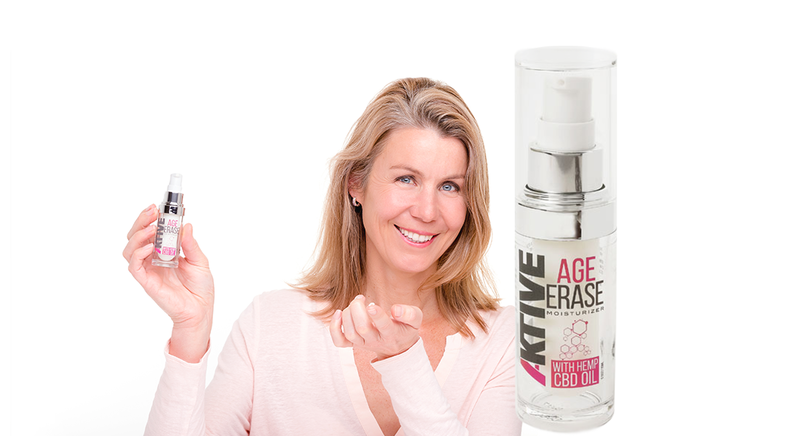 Add the Age Erase Moisturizer into your daily skincare regime and find the natural results you were looking for!